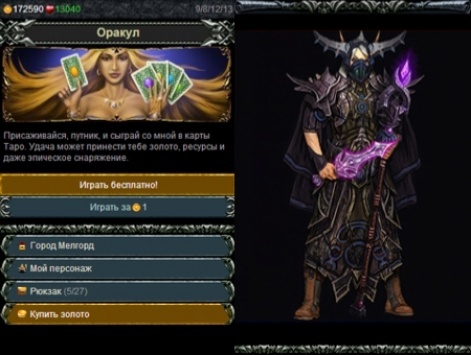 Russian browser game publisher Playtox is on a roll. It's just raised $3 million from the Moscow-based Runa Capital to extend its technology to include HTML5, as well as pushing its titles into the US and emerging markets. We caught up with co-founder and COO Dmitry Sergeev, who has worked with many well known Russian game companies, ranging from Mail.ru and Alawar to Shamrock Games and Next Media Group. Pocket Gamer: Can you give us some background information on Playtox? 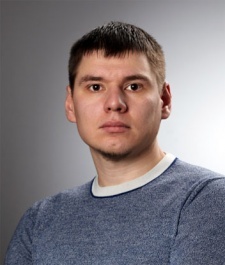 Dmitry Sergeev: Back in 2003, with my team at Shamrock Games, I developed one of the first mobile MMOGs. Called Piranha, it relied on the technology available at that time - SMS and location-based services. One month after launch, it had spread across Eastern Europe, connecting more than 1.2 million active users and generating more than 22 million premium purchases in multi-player survival battles. In 2009, I teamed up with Shamrock's CEO Artem Zinoviev. Creating Playtox. We turned our passion for gaming into a business with the mission to bring true MMO mobile games to consumers. Three months after Playtox was founded, the company released its first title. Today, it's creating and supporting mobile games with more than one million unique visitors per day. Your current audience is mainly in the CIS region and Latin America, so what's your approach in terms of language support for your games? Over the next three months, we plan to expand our reach to certain countries in APAC and the Americas. To achieve this our dedicated team works with local partners focusing on localisation. We put a lot of effort to adopt our game for specific markets; in some cases the entire gameplay will be redesigned, based on local consumer demands and preferences. Do you develop your games in-house or also work with third-party developers? Both: we have strong in-house development and also work as a publisher. And as we are not looking to scale the business geographically, we will be opening up for potential cooperation with local studios. Which of your games have been most successful? We look at success from several aspects - consumer value, lifetime, as well as monetisation. World of Shadows has been one of the most successful titles with 16.5 million registered users demonstrating an average life-time of more than six months. Have you considered releasing games through Apple App Store and/or Google Play? We have a very good relationship with our vendor partners. Some of our titles are published in the Nokia Store and on Google Play. One title recently passed the two million download mark in Nokia Store. If you're already profitable, why did you decide to do a funding round, and how will the $3 million raised change your business approach? Growing a business always requires investments, local partners and great products. We are excited to have Runa as our partner. The Runa team has unique expertise in successful scaling global IT businesses such as Parallels and Acronis. Its expertise will increase our chances to become the leading browser game developer in the world. Having it on board, our plans to grow the business will accelerate and add key competencies on how to grow and manage the company. We plan to use the cash infusion to expand into new markets, dive a little more deeply into HTML5 and continue to improve our current games as well as develop new titles. Expanding our publishing network to new markets and push development of mobile gaming social networks, which are already in development, will also be very important. HTML5 hasn't had a good press from developers so why is it important for your future games? It is important to understand current limitations but also to keep track of on-going disruptions. As devices get more computing power, telcos invest in faster networks. At the same time browser companies like Opera, Firefox, Google and Nokia invest into driving future disruption. We are confident that the market for MMO browsable games will continue to expand, as easier access will enable more people to discover new games. For the users it's as easy as surfing the web, no download or updates required. Switching device is also not a problem, just open up a browser and seamlessly continue your gameplay. What's important about the distribution deal you signed with Opera? Opera is a strong partner that brings innovation to the industry when it comes to proxy technologies, as well as driving HTML5 adaptation across a wide device segment. Being able to browse the internet faster and to have access to richer content are consumer benefits we can both profit by the strategic partnership. When should we expect the first western-targeted games from Playtox? Very, very soon. Our game producers are currently working on something amazing that will excite gamers in the west. Stay tuned! Thanks to Dmitry for his time. You can see what Playtox gets up to via its website.